Stop extortion by cybercriminals using IP and Domain Name reputation. ThreatSTOP has started blocking a new variety of malware called "cryptolocker" for our subscribers and those of our OEM partner Infoblox. 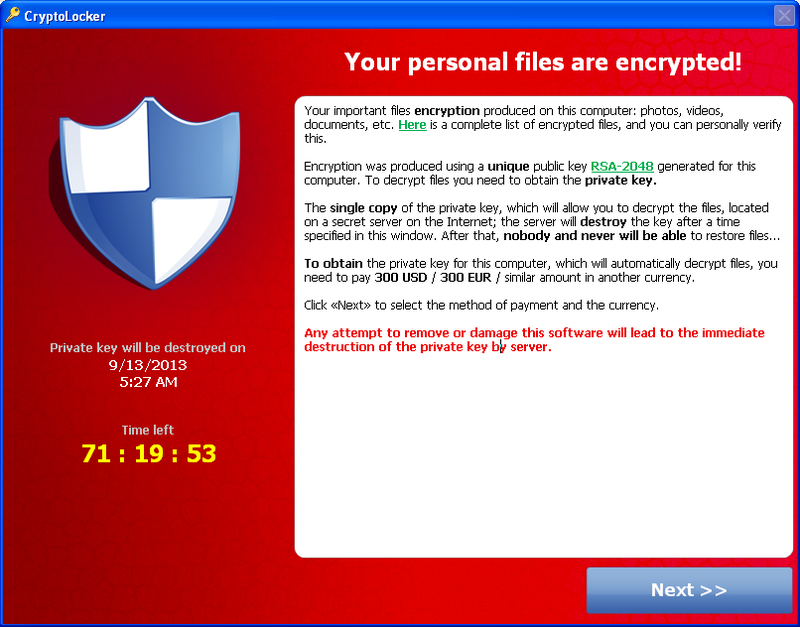 Cryptolocker is a new and widely spreading form of "Ransomware" that encrypts files on an infected Windows computer and any networked file systems it has access to.